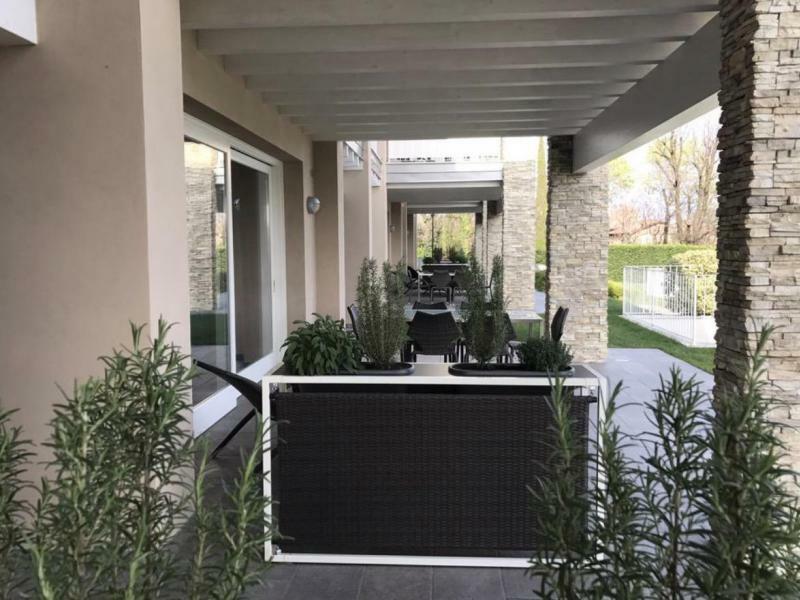 For those who like to be able to walk from their apartment to the lake or to a village with restaurants, a beach club with bar and restaurant, this is the perfect location! If you like a lively environment and do not mind a little noise, this is the right place for you. If you are looking for complete quiet in a country setting, you may want to look at the other agriturismos in this region. 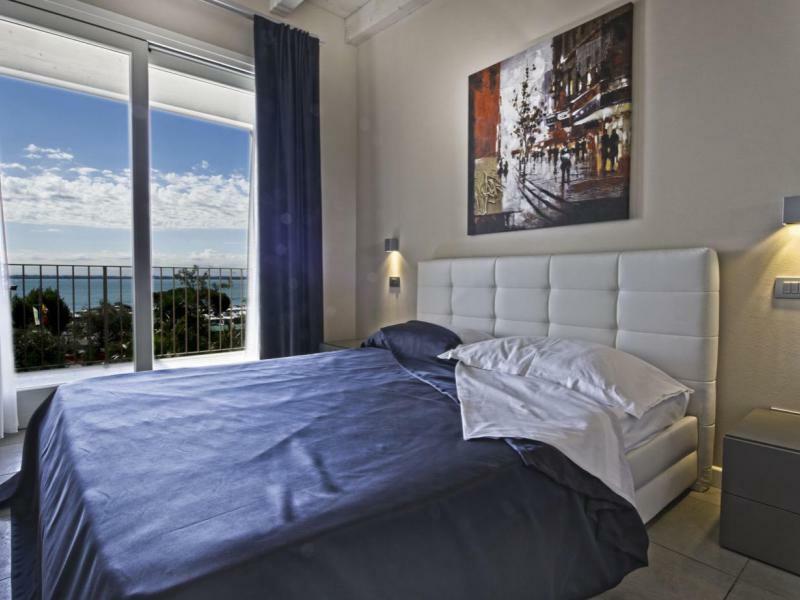 The residence is situated near a marina (so you may hear boats coming and going) and a boat rental business, and at the edge of a village with a vibrant centre where you will find several restaurants, a baker, a gelateria, a small supermarket and other shops. You can also have a bite to eat or relax on a terrace at the marina’s beach club. 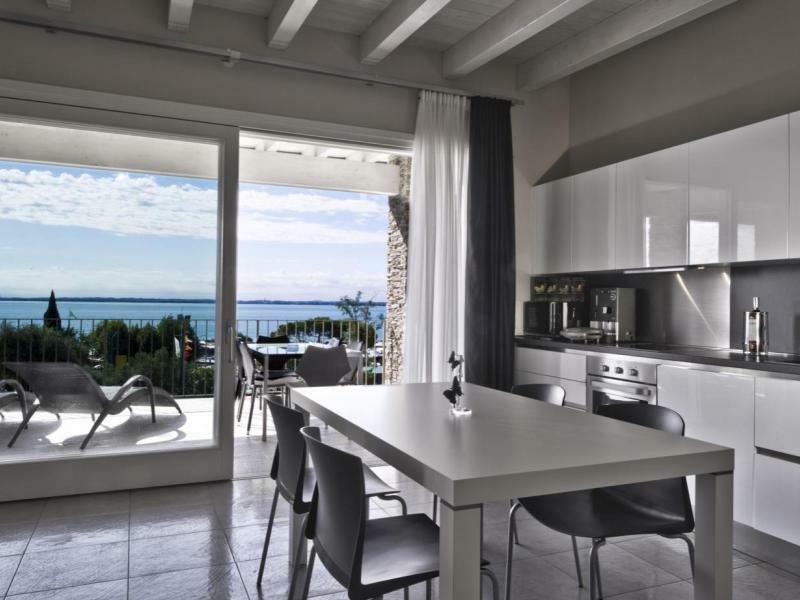 The location of the residence is perfect for sun-bathing on one of the nearby pebble beaches, but also for visiting villages around Lake Garda. Desenzano and Sirmione, the two most famous towns on Lake Garda, are only 8 and 20 km away, respectively. 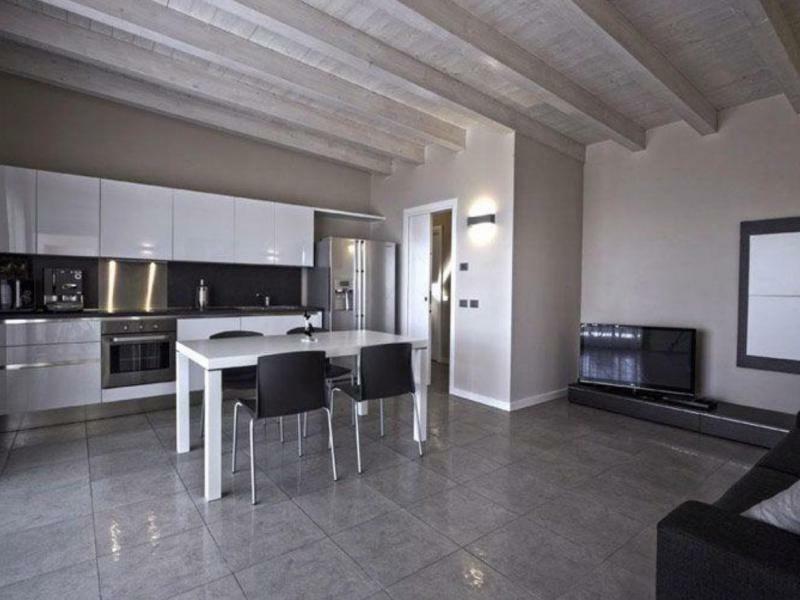 Peschiera del Garda is 25 km from the residence. The lovely city of Verona with its famous amphitheatre and beautiful medieval centre is also within reach (about 50 km). And there are several theme parks nearby too. The famous Gardaland (30 km), for instance, and a water park with slides: getting there only takes 30 minutes by car. The residence is child-friendly and completely fenced off, so children can play to their hearts’ content. There is a fenced swimming pool and a playground in the well-kept garden. The swimming pool has a shallow area for children and a fountain. The residence has its own parking places. There are 8 trilocale apartments (2 bedrooms) in the residence, four of which are on the ground floor and four on the first floor. 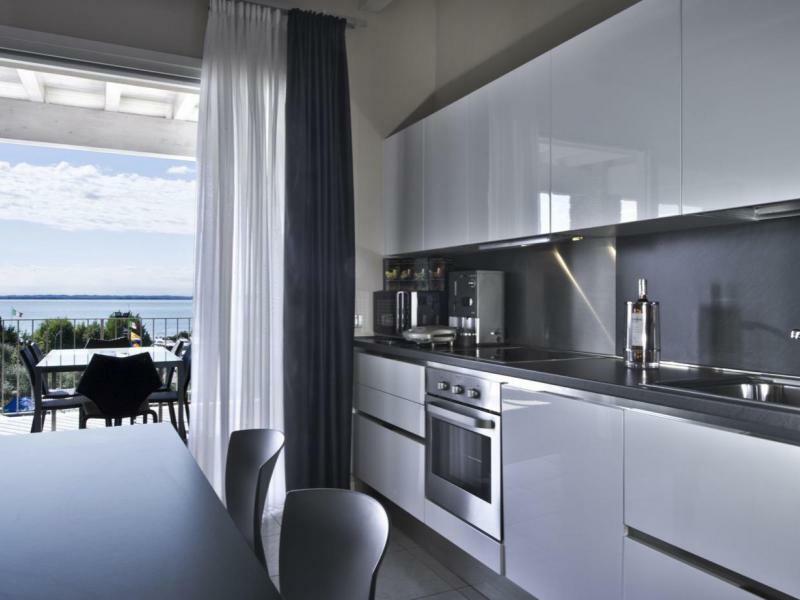 The first-floor apartments have a beautiful view of Lake Garda. All the apartments have their own terrace of about 25 m2 with table, chairs and two loungers. 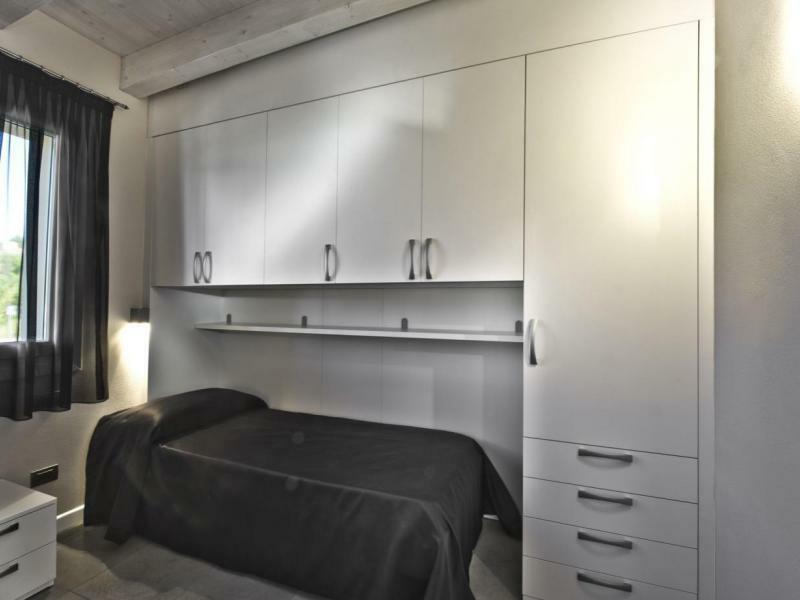 The apartments are fitted with air-conditioning, wifi, dishwasher, oven, microwave, satellite TV, DVD player, coffee maker, toaster, juicer and a hair-dryer. Not an agriturismo, but a child-friendly residence within walking distance of Lake Garda, a village and restaurants. Comfortable apartments with spacious terraces! 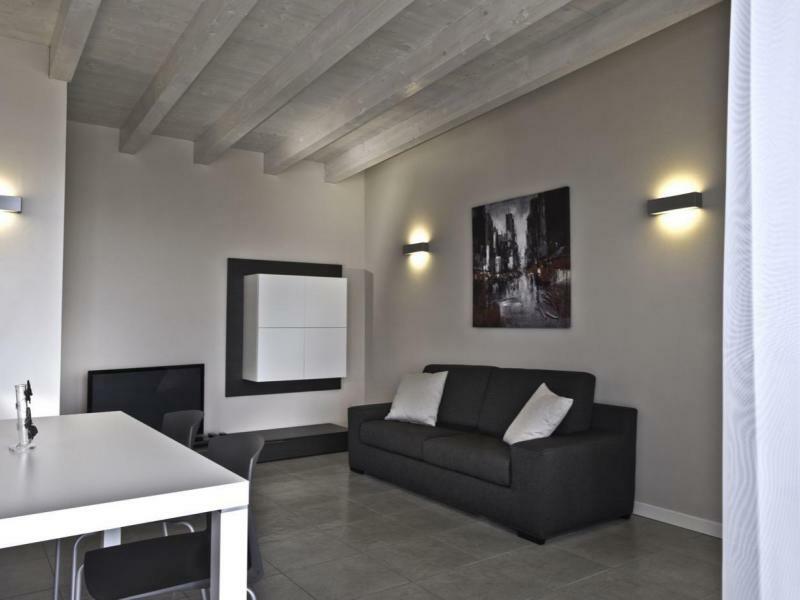 Apartment consisting of a living room with sofa and open kitchen, bedroom with double bed, bedroom with two single beds, bathroom with shower and hair dryer. The apartment has a terrace with table, chairs and sunchairs and is equipped with microwave, dishwasher, satellite Tv, wifi and air conditioning. Prices are per apartment per night for 4 persons, included water, gas, electricity, linen and towels (1 set per week) and air conditioning.